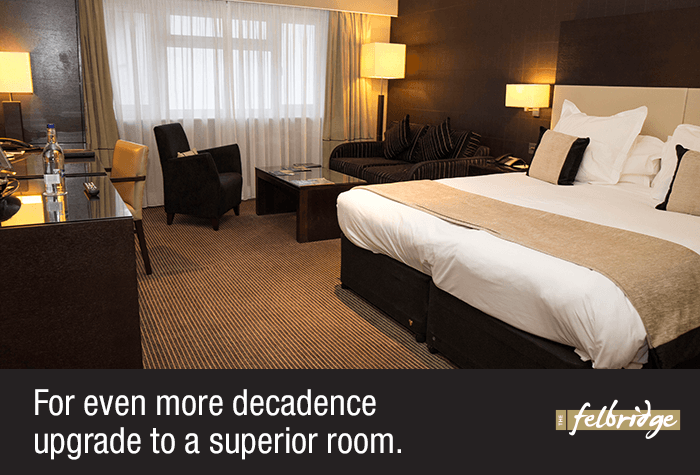 The Crowne Plaza Felbridge is pure luxury distilled into a truly-elegant hotel. With a selection of fine-dining restaurants, a relaxing spa, indoor swimming pool, two indoor tennis courts and even a golf course nearby, the Felbridge is a holiday all to itself before you've even reached the airport. The Crowne Plaza Felbridge is far from the comings and goings of a busy airport, but still just a half-hour drive away when it comes to catching your flight. 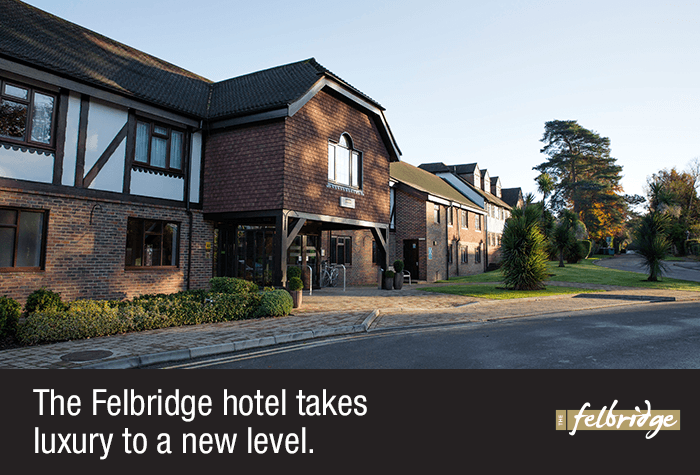 If you need a close hotel at Gatwick airport, but want to really enjoy your time away, even before you catch your flight, then the Felbridge is where you'll want to be. Very efficient reliable service. Would definitely use again. Hotel fabulous...meet and greet horrendous...especially as I had a disabled person with me. The meeting place had been moved and we were given incorrect information. It took us an hour to find it. Hotel excellent .Very pleasant room and very clean. Our customers rated Felbridge on average 8/10 (15 reviews). Read Felbridge reviews. We can guarantee one thing for sure: you won't be at a loss for things to do. If you need to work off all that AA rosette-awarded food, the hotel has full spa facilities with a state-of-the-art gym, a beautifully-decorated, heated indoor swimming pool, a sauna and a steam room; not to mention, the brand-new, all-weather tennis courts, golf course, clay pigeon shooting, paintballing, off-road karting, polo and hot air balloon rides! Some are available on site at the hotel, others as an excursion package. Just don't forget you still have a flight to catch! 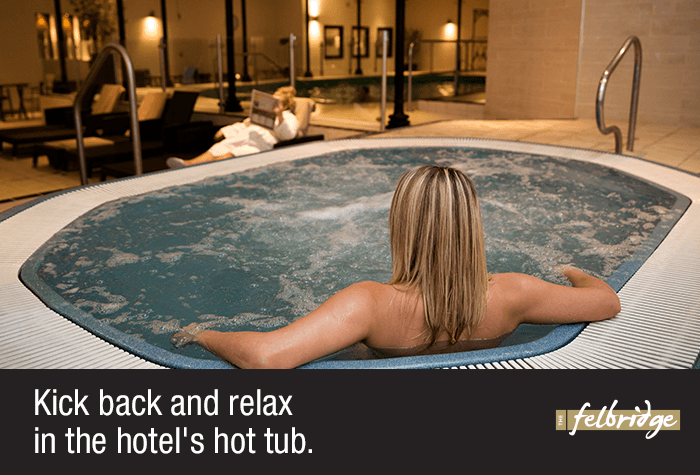 The spa - The spa at the Felbridge offers a level of luxury that you'd struggle to find at any other airport hotel. From the swimming pool to the sauna and all the other activities on offer, there's far more here than just somewhere to rest your head for the night. Award-winning food - The food is far from your every-day fare. 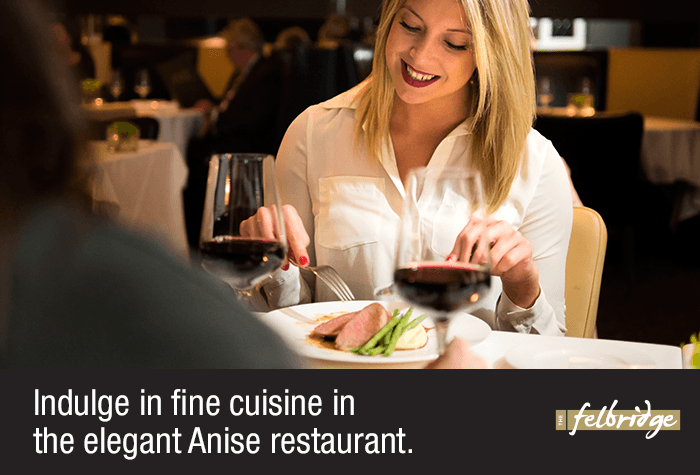 The relaxed Bay Tree restaurant offers beautifully-prepared dishes and efficient service, whilst the fine-dining experience at Anise has been awarded two AA rosettes. Ease and access of parking - If you need parking while you're away, the Felbridge offers the simplest possible option: just park outside the hotel and catch a bus to the airport, which takes around 35 minutes. Spacious rooms with soft lighting, free wifi and lots of extra pillows. There are tea and coffee making facilities and an en-suite bathroom. The hotel can book a taxi to take you to the airport for £12.50 (saloon size car). 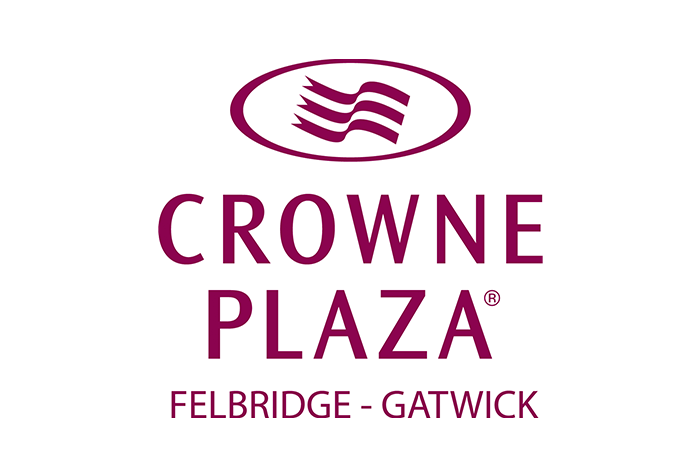 The Crowne Plaza Felbridge is a 16-minute drive from the south terminal and 18 minutes from the north in good traffic. Driving instructions and a postcode for satnavs will be on your confirmation email. If you need overnight parking, its included in the price. Check-in: from 15:00. Check-out: by 11:00. There is free wifi throughout the hotel. Our customers say its fast and reliable. Standard bedrooms are spacious with soft lighting, polished surfaces and lots of extra pillows. The Triple Room layout includes a double bed and a single sofa bed. The Family Room layout includes a double bed and a double sofa bed and sleeps up to 2 adults and 2 children. Please note the child age limit is 12 and under. The hotels health club has 2 indoor tennis courts, a pool, sauna, steam room, jacuzzi and gym, which are all free for guests to use. 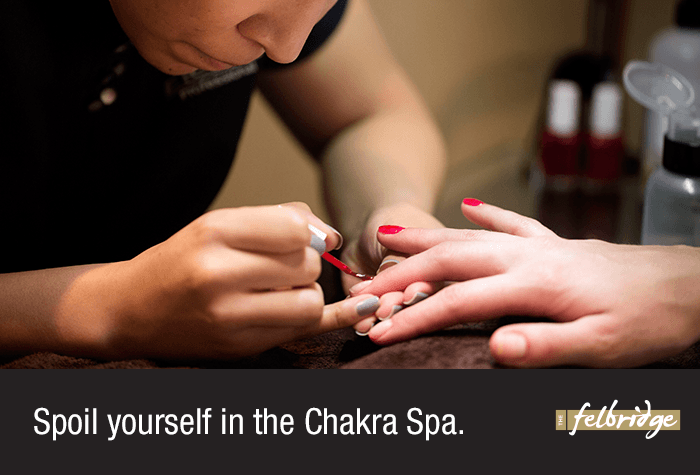 Spa treatments are also available for an extra cost. Children are welcome to use the pool before 10:00 and after 17:00 - its 15 years and over only in between those times. 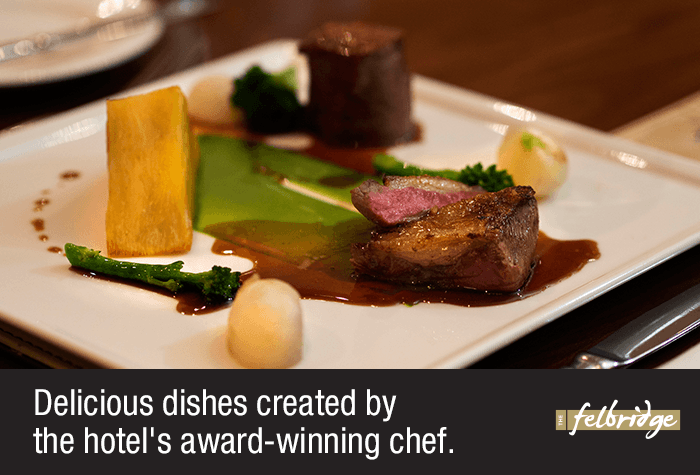 The AA Rosette-winning restaurant serves fine dining dishes, using locally-sourced ingredients like duck, pork belly, chicken and fish. The average main meal costs £14. Open from 18:00 to 22:00. The kids menu offers 2 courses for £7.95 and 3 courses for £9.95 and serves soup, pasta, burgers and fish fingers. The bar serves slightly less formal dishes like macaroni cheese, burgers and fish and chips. The average main meal costs £15. 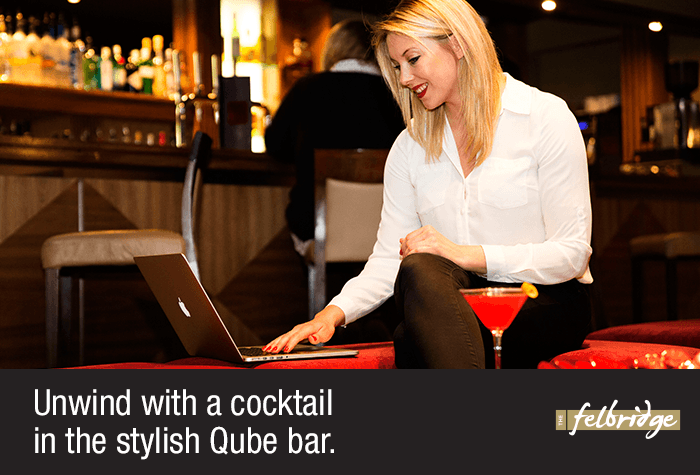 It also serves over 20 classic and contemporary cocktails, along with hot and soft drinks, beer and wine. 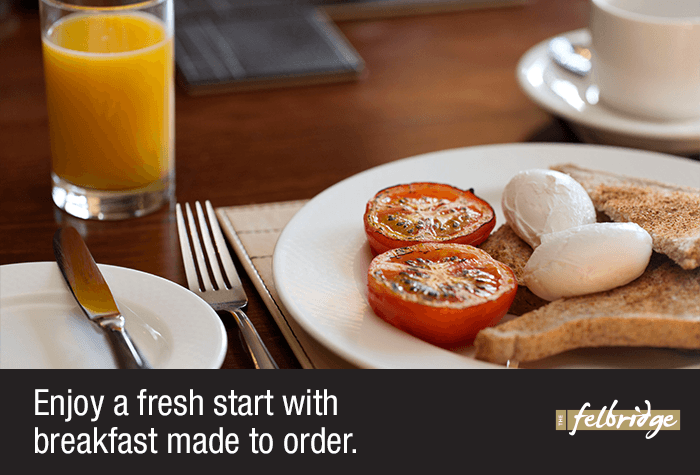 Breakfast is £12.95 - its a choice of English and continental. The hotel can arrange a taxi to the airport - book it when you check in. Taxis take around 15 minutes to get to the north and south terminals and cost about £12.50 each way. There are 3 accessible rooms on the ground floor with wider doors, grab rails, emergency pull cords and wet room bathrooms. The hotel also has chair lifts and accessible parking bays outside reception. Disabled facilities There are 3 accessible rooms on the ground floor with wider doors, grab rails, emergency pull cords and wet room bathrooms - if you would like to request an accessible room please call Holiday Extras before you book. The hotel also has chairlifts and accessible parking bays outside reception.